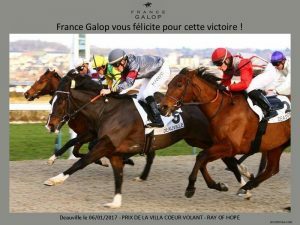 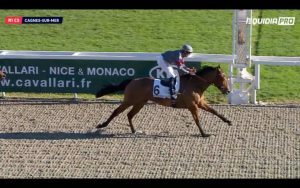 Avenue du Monde wins again in 2017, this time in Vichy. 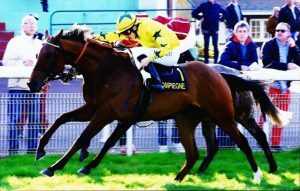 Her first race in foal, Avenue du Monde caught Santorina at the post in the Prix Wemyss Bight in St Cloud, June 15, 2018. 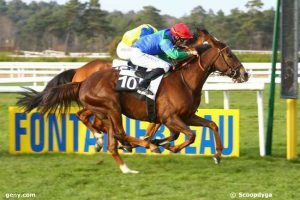 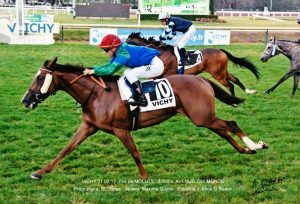 Bleu Astral winning the Prix de l Aisne in Compiègne for High Street Racing, March 27, 2017. 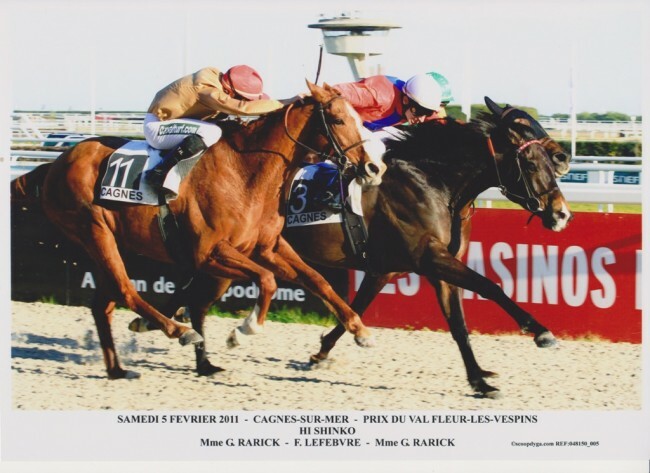 Copper Baked won the first of the double on the last day of racing in Vichy. 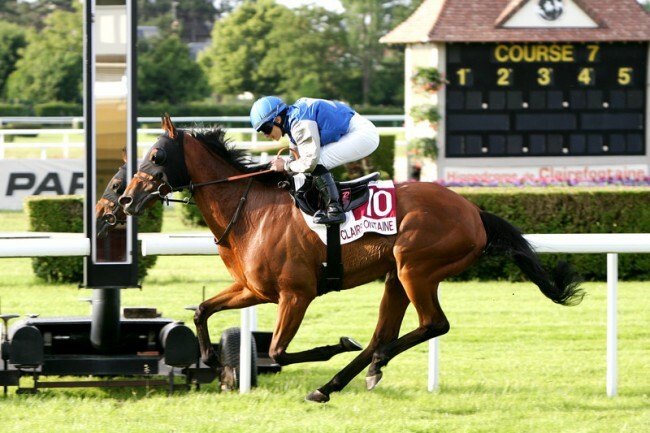 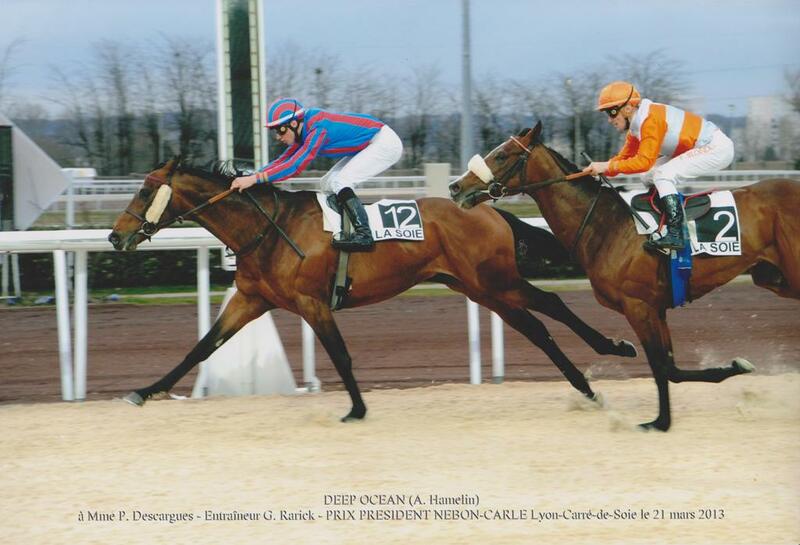 Deep Ocean’s second consecutive win, the Prix President Nebon-Carle, Lyon Carré-de-Soie, March 21, 2013. 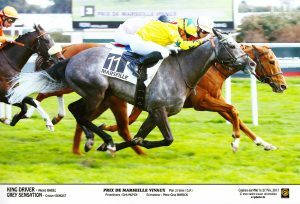 Hi Shinko crossing the finish line first in February, Prix du Val Fleur-les-Vespins. Scoop Dyga. 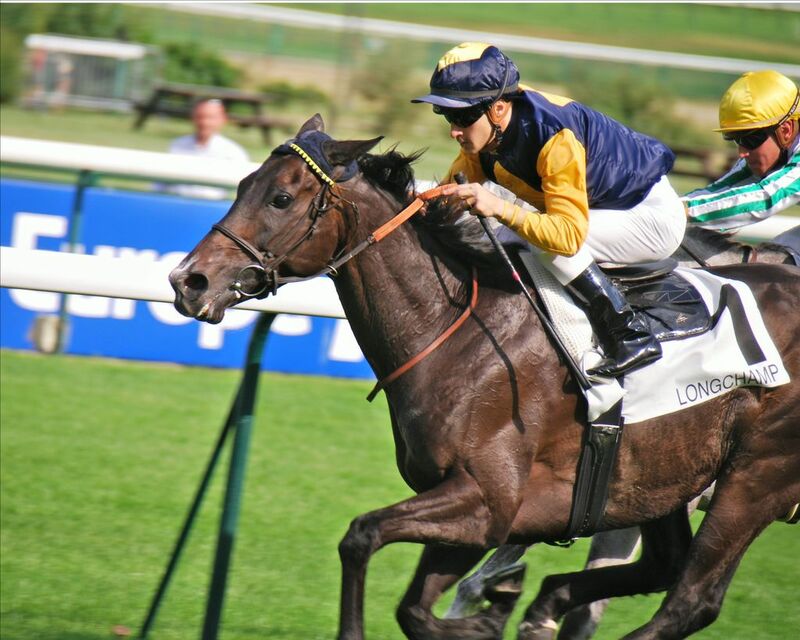 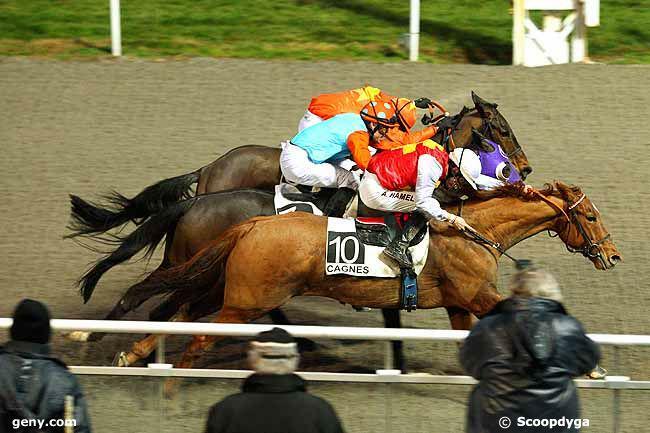 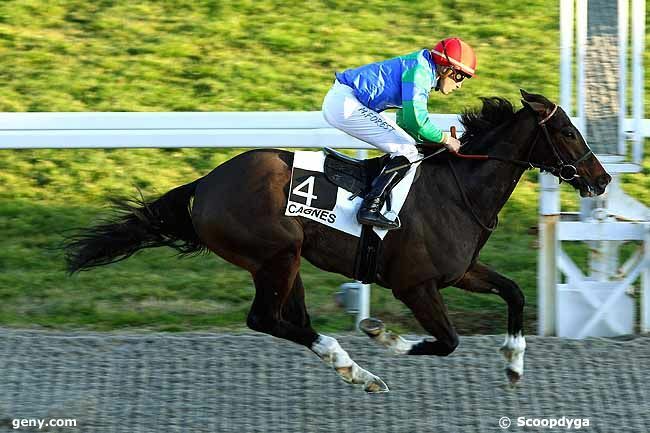 Hard Way running away with the Prix Lomagnes at St Cloud, May 2012. 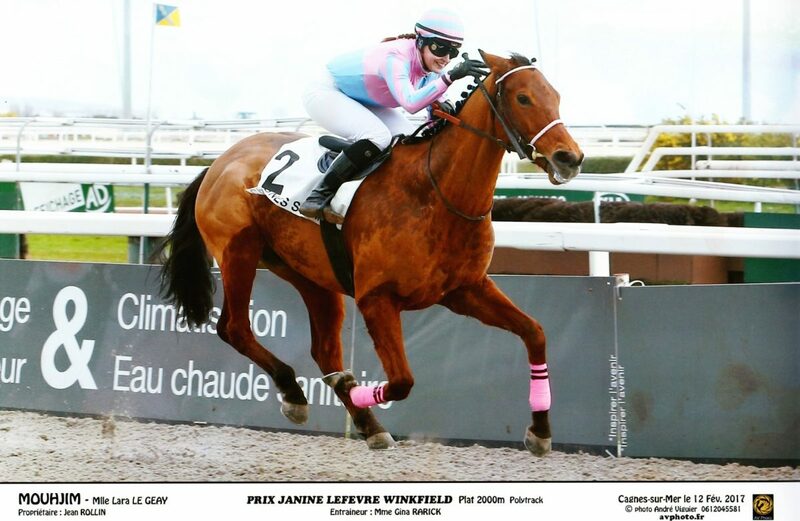 Moujhim winning the Prix Janine Lefevre Winkfield February 12, 2017. 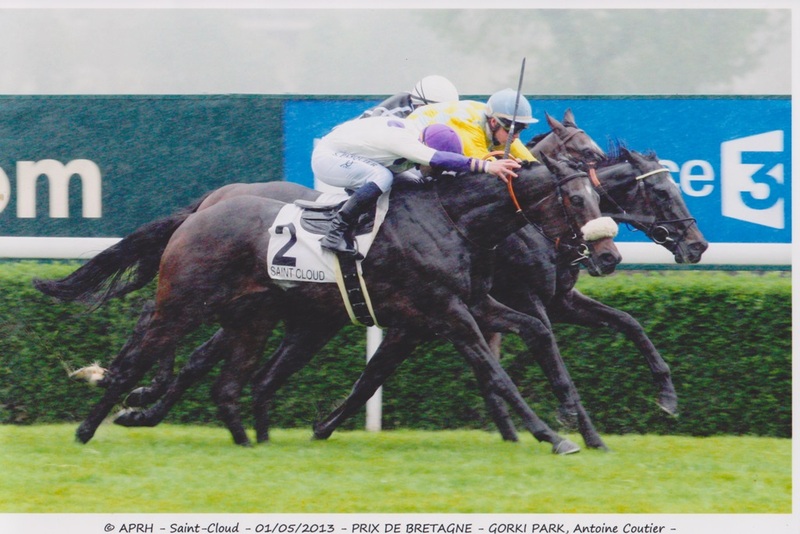 Parkori taking the Prix Duc d’Alburqurque in St Cloud, June 28, 2015. 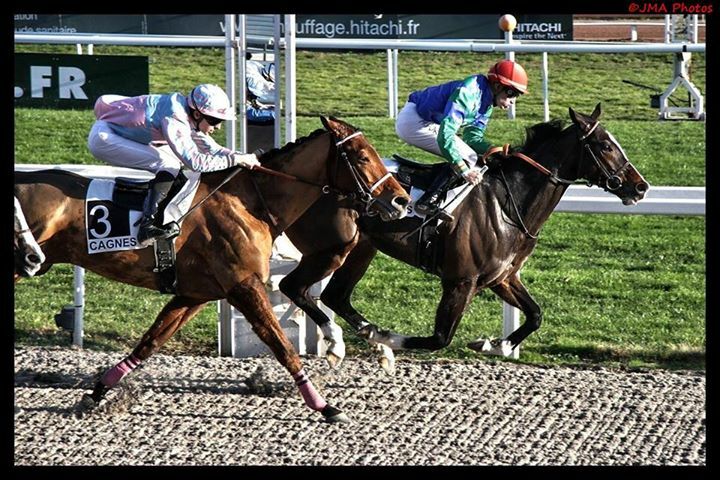 Quiet Zain easing across the post first, Cagnes sur Mer, January 2018. 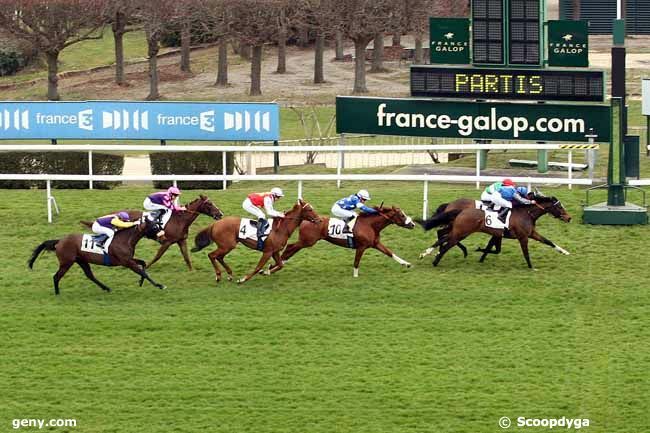 Ray Of Hope edging out stable mate Mouhjim to take the Prix d’Ostende in Cagnes-sur-mer, January 22, 2015. 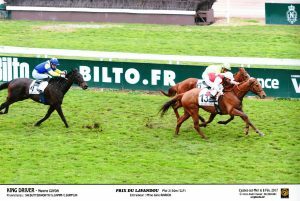 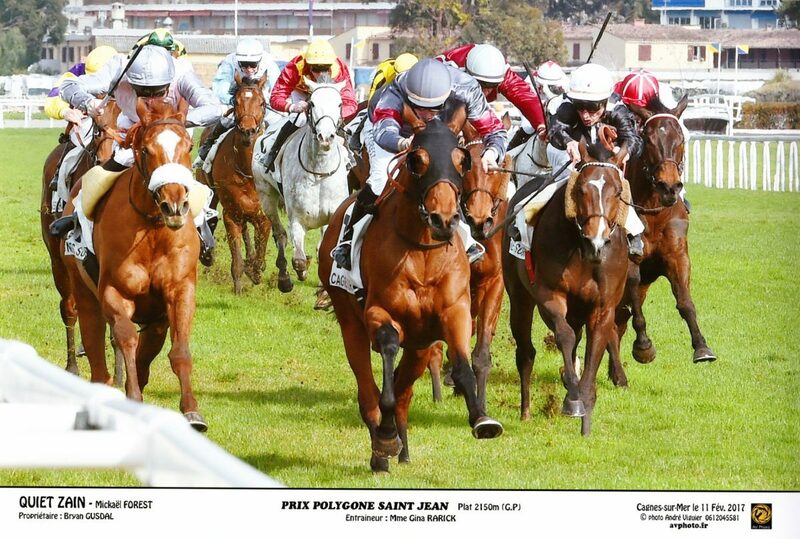 Surrey Storm taking the the prix Alec Weisweiller, April 1 2012 in Lisieux. 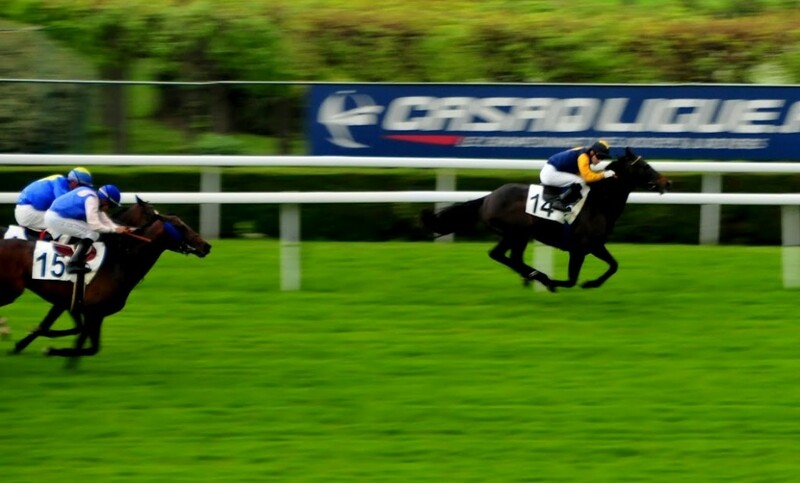 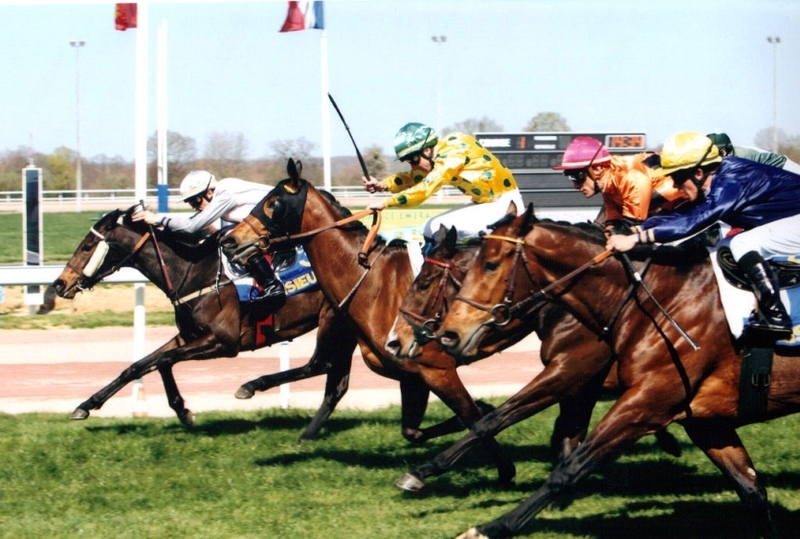 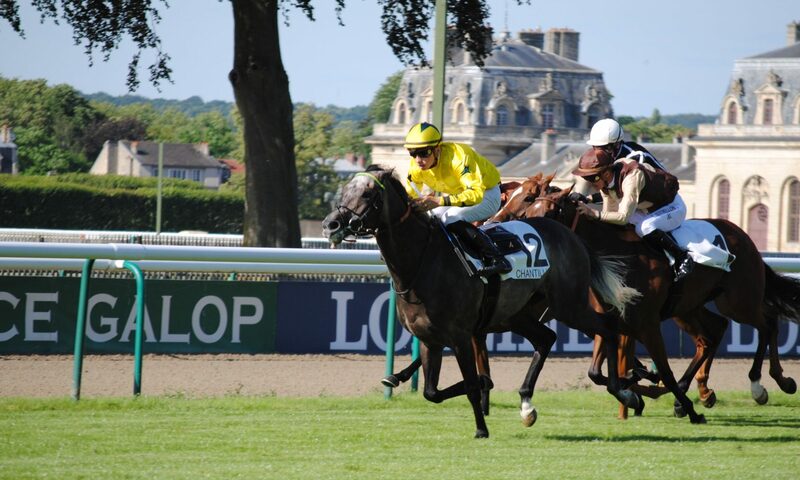 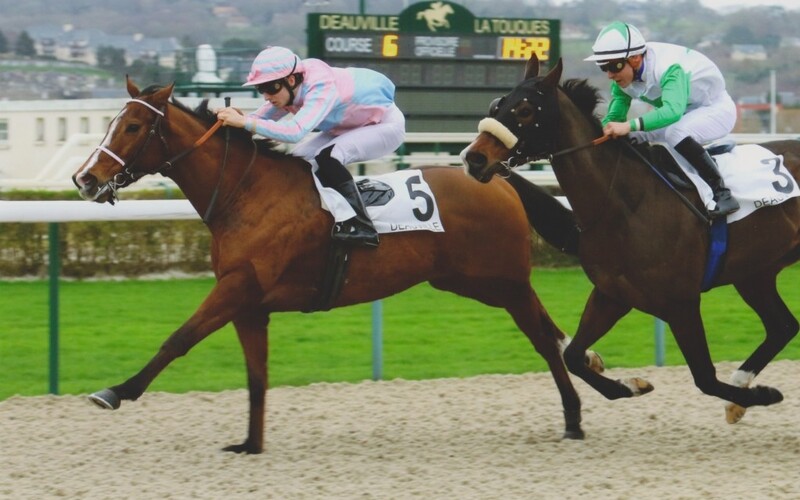 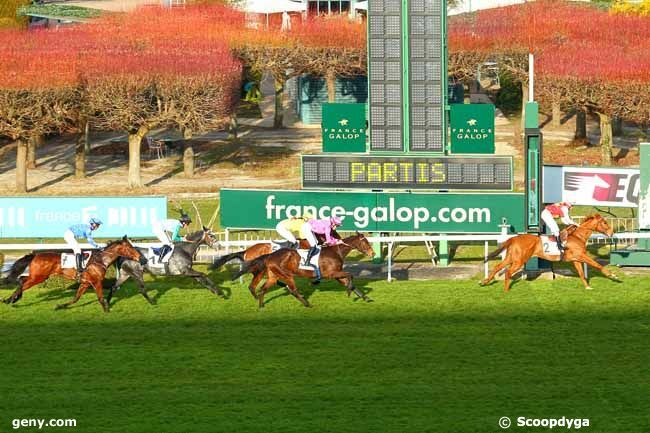 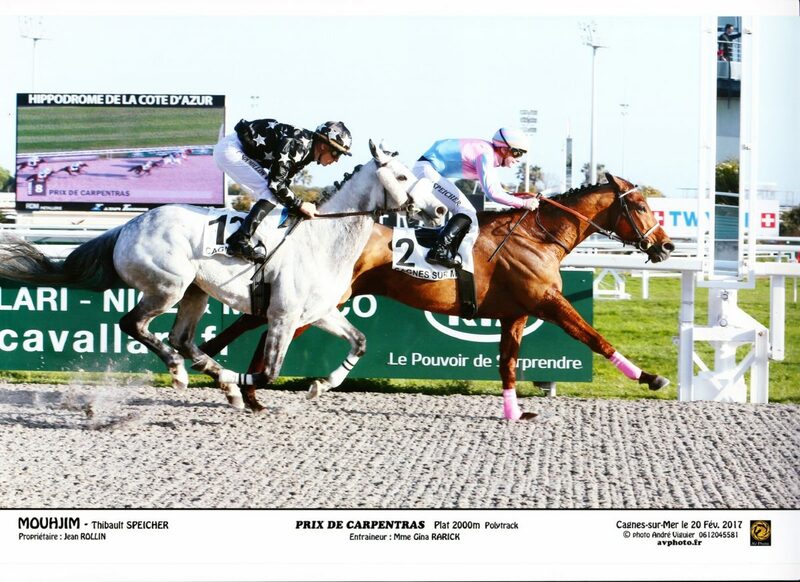 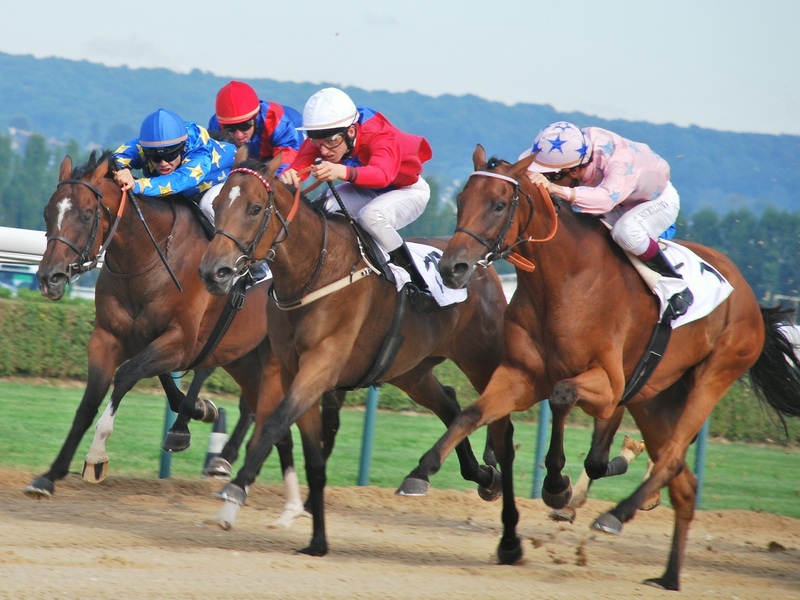 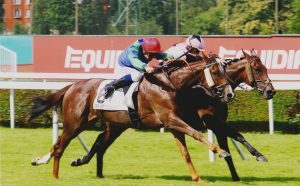 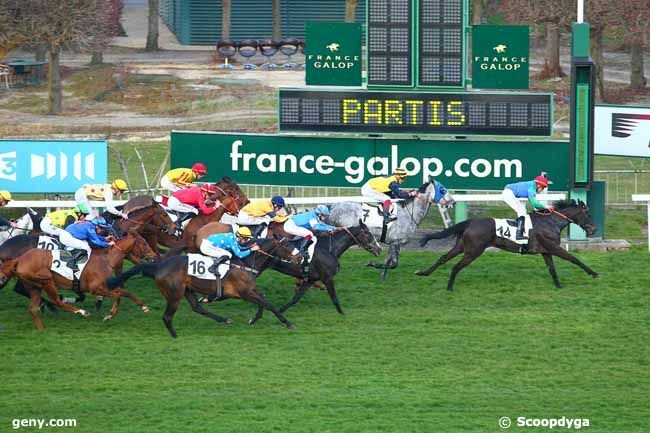 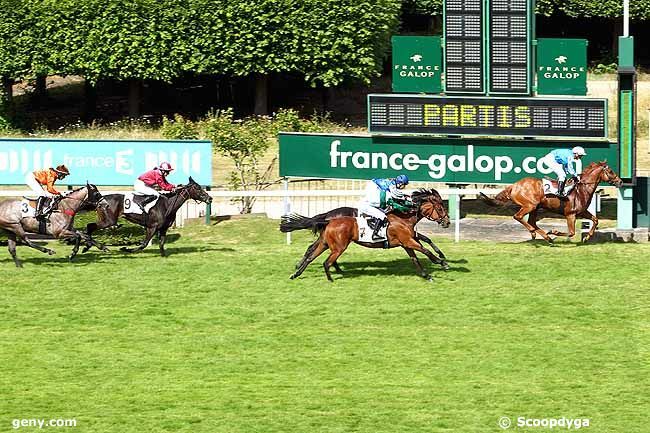 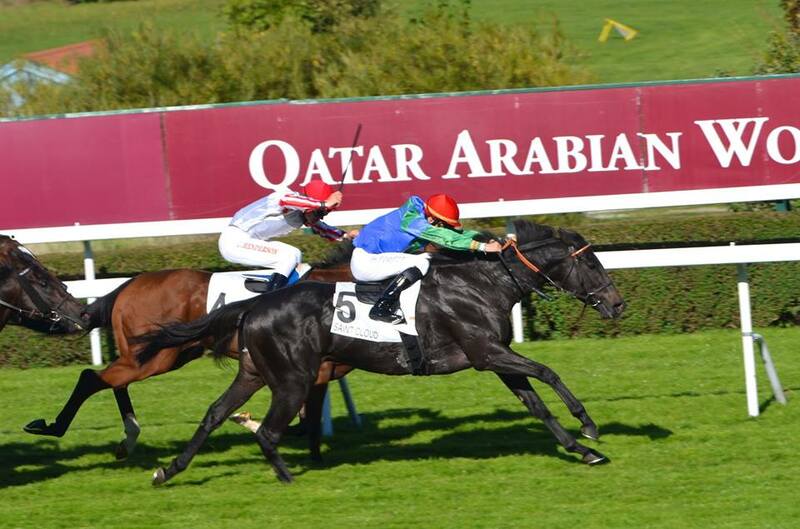 Turfani (center, white cap) winning in Deauville.